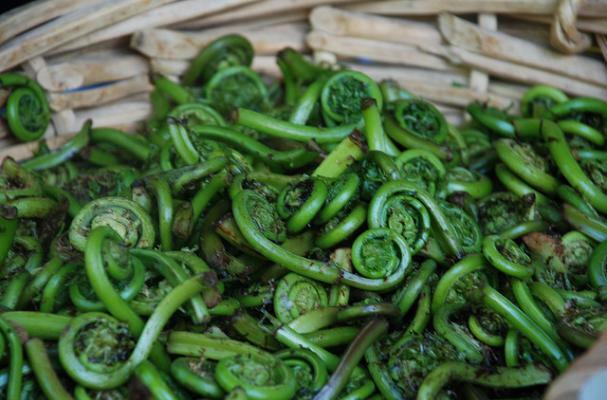 It may be a bit early for mentioning, but who can resist the taste of fresh Fiddleheads? In Maine, they are sold in the grocery store produce section. Saute like any spring green, and you will fall in love with the earthy, rich flavor. I liken them a bit to asparagus. They have the same mouth feel, and the season is just as short.